After some inspiring discussions with Dipti Hingorani (who’s an URBZ member), Sophie and I were invited to organise a few afternoon workshops for the Kids of the Dharavi Shelter, with the support of URBZ. Working with Marina and Himanshu, we put together different playful activities around the topic of global environmental issues. 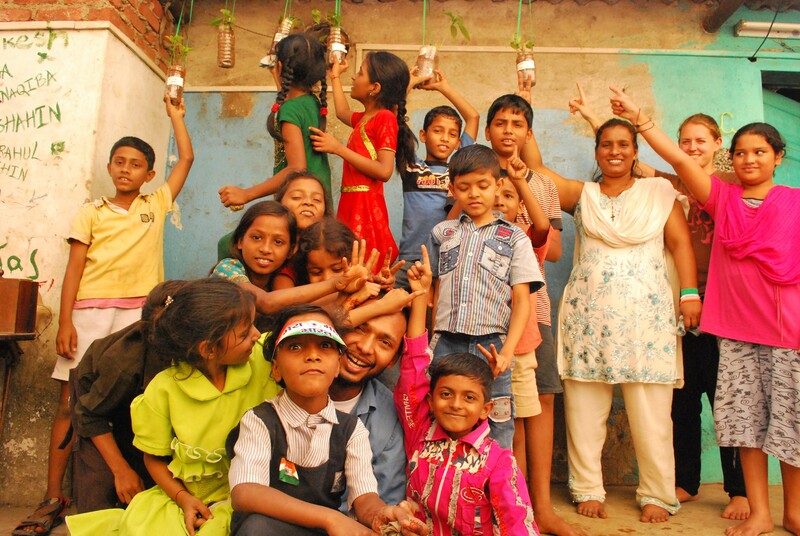 Our aim was to raise awareness on how growing your own plants can be beneficial to the environment, and is a very simple thing to achieve even in extremely dense area such as Dharavi. After a first afternoon at the Shelter with Himanshu, Marina and Lasse, we defined how we were going to turn this planting workshop into playful, creative and interactive sessions for the Kids. A treasure hunt through the streets of Dharavi was set up, to explore the hidden gardens and green spaces around the streets of the Shelter. 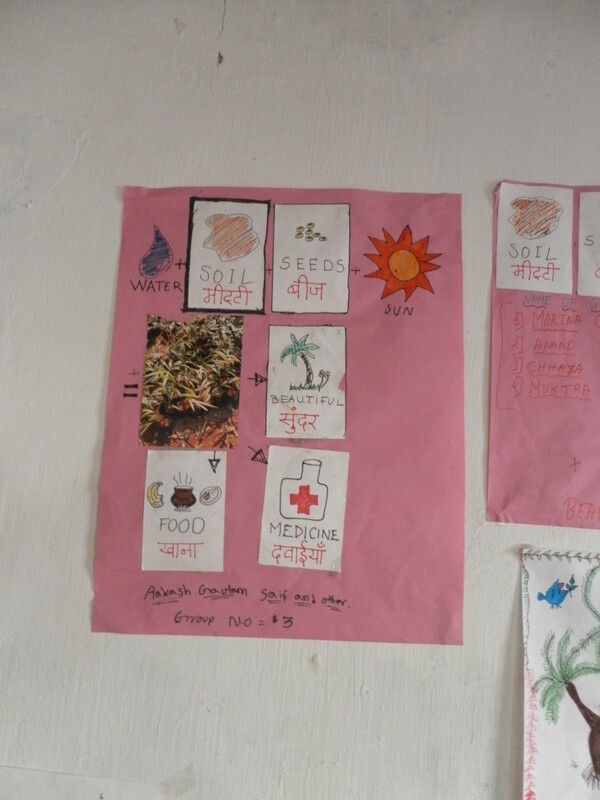 The treasure hunt followed the key steps of the essential elements needed to grow plants, such as seeds, soil, sun, water, love, and gave options on how these plants could be used (for cooking, of medicinal purposes, etc). 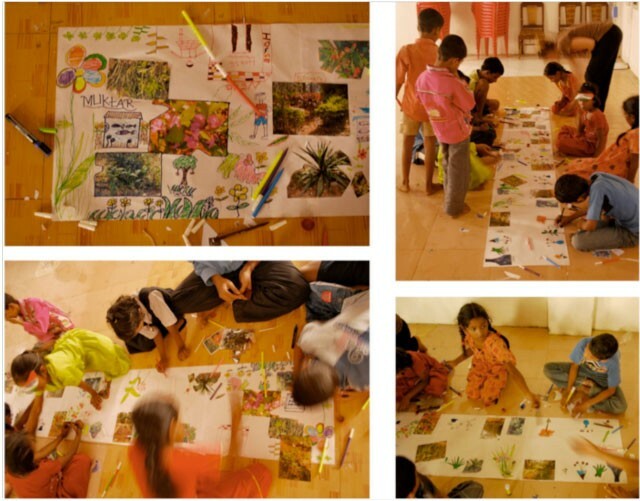 The following day the kids drew a 4 metres long collage of their ideal garden space, using pictures from the Maharashtra Nature Park situated a few minutes away from the Shelter. 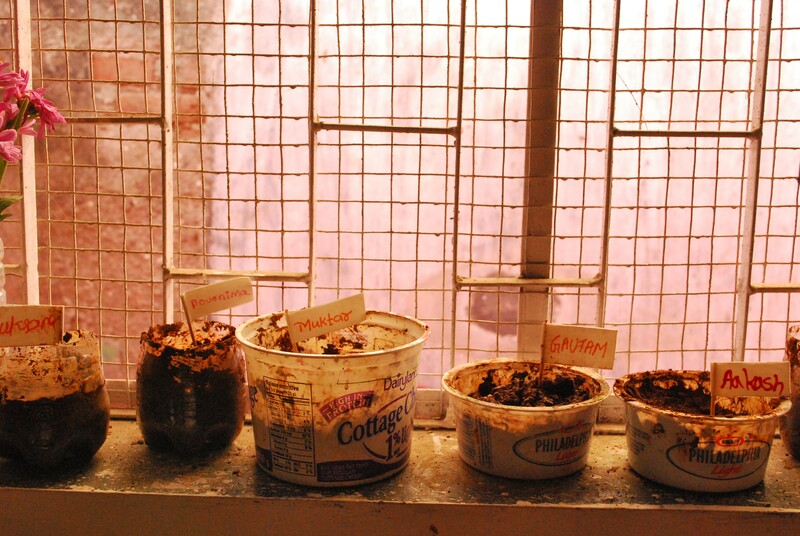 The end of the workshop involved planting seeds and baby plants using recycle materials for pots. Through these playful activities we hope that the kids learned the simplicity of growing plants and the importance of the impact it can have to improve any urban environment. Click here for more pictures of the workshop. This blog post was authored by Sophie Morley and Caroline Dewast, two graduate students in architecture at Oxford Brookes University who spent a week with the kids at the Shelter.